Location, location, location! Step outside on your large lanai to sweeping mountain, city, canal and ocean views from this beautiful 2 bedroom, 2 bathroom condo listed at $550,000. Steps away from the beaches, restaurants, shopping at the Ala Moana and the Convention Center, this home has all the conveniences of Waikiki resort-style living. 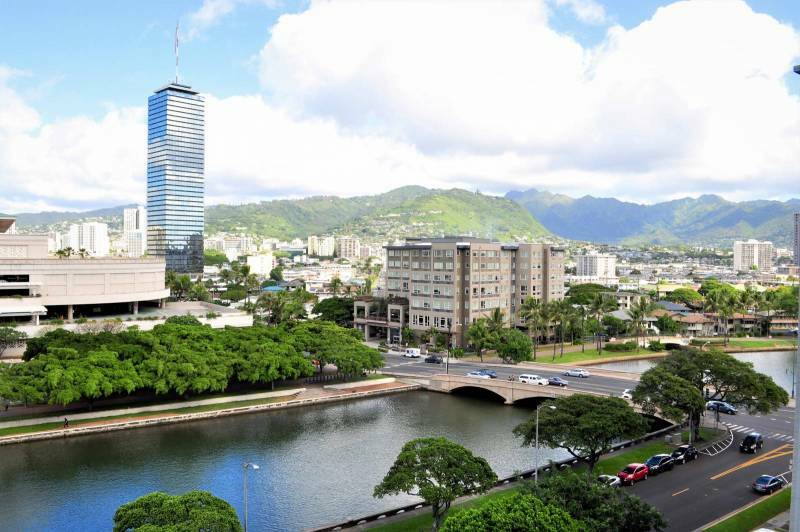 Enjoy tranquil views from your lanai of the Ala Wai, Convention Center, and the Ko’olau Mountains. 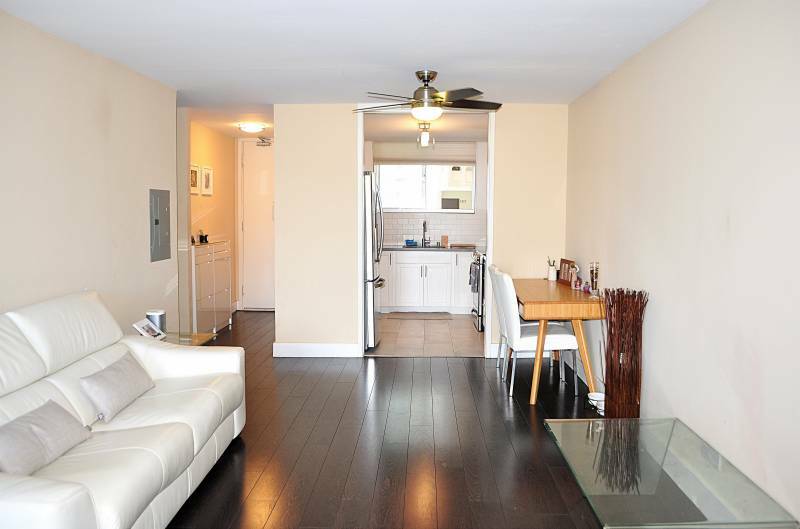 This contemporary condo has an open feeling concept with new paint, a modern ceiling fan, split A/C in the living room and master bedroom. The electrical panel was moved out of the 2nd bathroom and relocated to the main living area for increased safety. Walk into a chic kitchen with stainless steel appliances, subway style backsplash, quartz countertops with an undermount sink and white shaker cabinets. 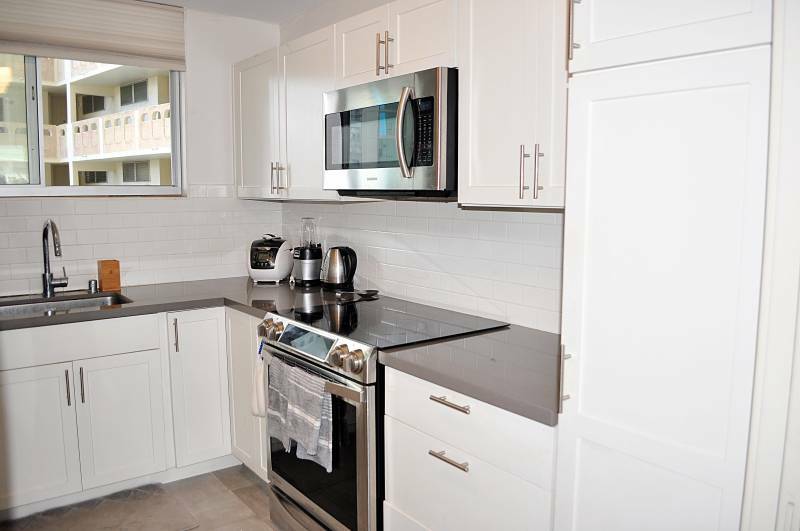 There is plenty of cabinet and pantry space in your new kitchen with ceramic tile flooring. Wake up to sweeping mountain and canal views in your spacious master bedroom. When the sun sets, gaze out to soft twinkling lights of the city. 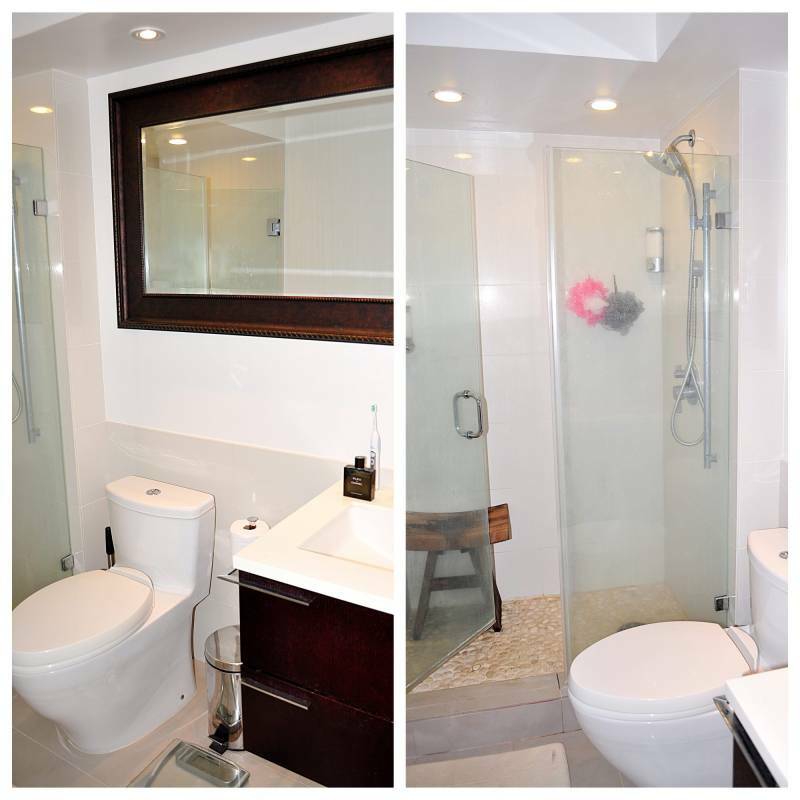 The master bathroom features a stylish vanity, framed mirror and a walk in pebble stone tiled shower. 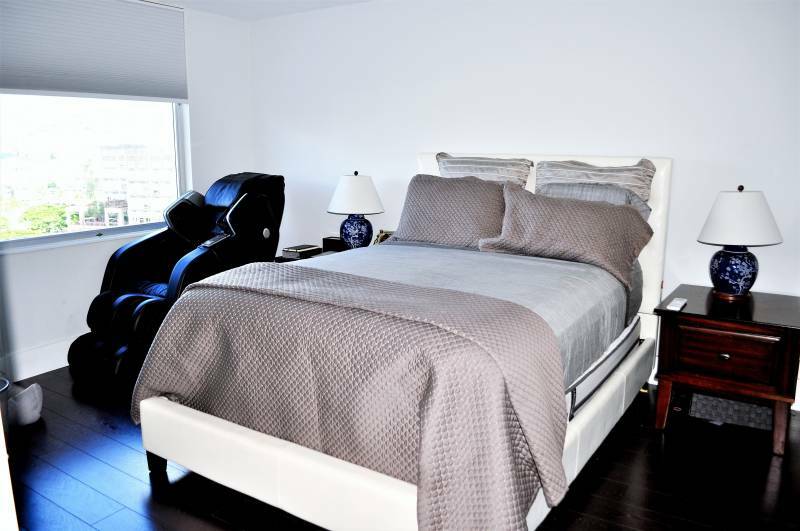 This posh condo has a second roomy bedroom for family or out of town guests visiting. 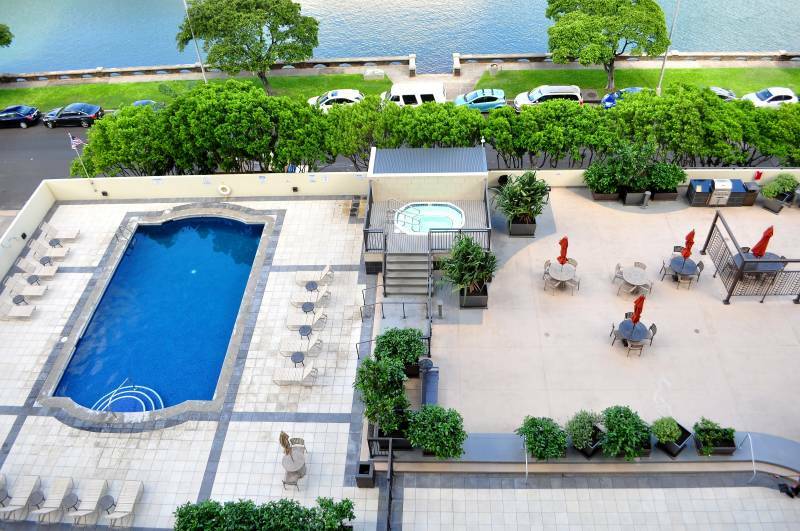 1717 Ala Wai features a newly renovated pool, hot tub and pool deck in a secured building. There is also an exercise area, book room, and sauna. 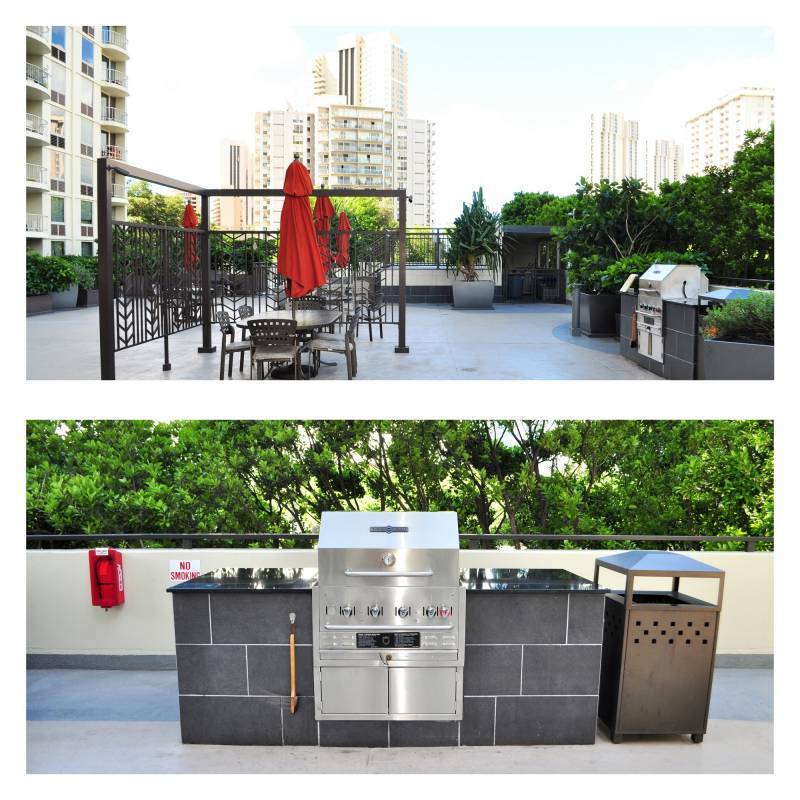 Sit back and relax while cooking on one of the two outside gas grills while overlooking the ocean or water. For your convenience, the condo comes with one assigned covered parking stall. Put my real estate experience to work for you! 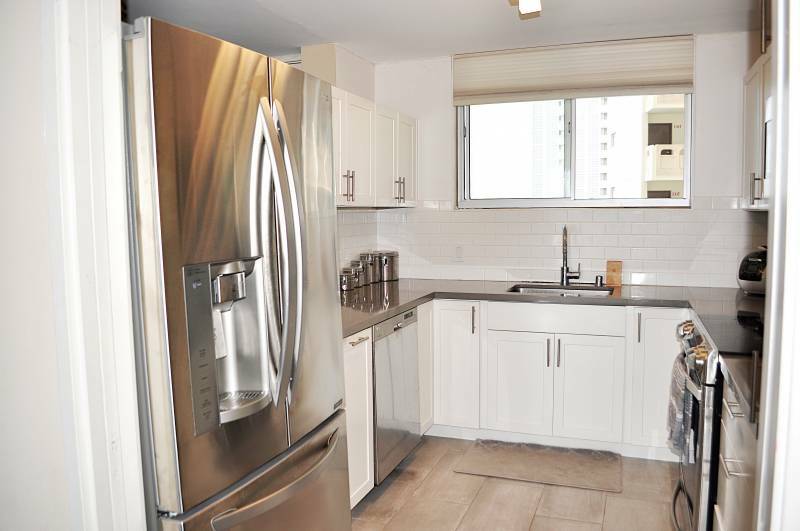 For more information or to schedule a viewing of 1717 Ala Wai Blvd #1004, Honolulu, or for a professional price opinion on your property, feel free to contact me at FawnBertram@HawaiiLife.com or 808-439-1077. Until next time, live with Aloha!